WE ARE HAPPY TO HELP YOU! Contact us! 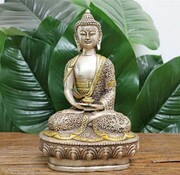 10% Discount for Self-Collectors! Tooltip Möbel direkt mitnehmen – Besuchen Sie unseren Showroom in Düsseldorf! 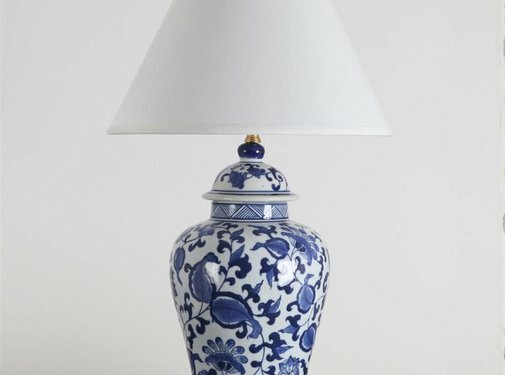 Custom Furniture? – With Pleasure! Ancient restorations? – No Problem! Dissatisfied? – We'll fix it! The beautiful chest of drawers has drawers and two doors. Antique Shelf Chinese Dresser Cabinet Solid Wood China. 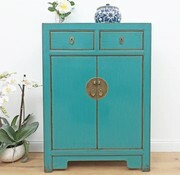 This beautiful cabinet has two doors and two drawers. A beautiful dresser has 4 drawers. Porcelain vase Ø 18cm, 27cm high; Shade: Ø 30cm shade, total height: approx. 42 cm. Delivery without bulbs. This porcelain flowerpot with Ø 28cm incl. Porcelain coaster is part of a design series in special beautiful green with colorful floral motif. Our range includes various sizes from 17 to 49 cm in diameter. 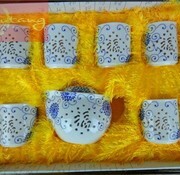 Traditional porcelain tea set made in rice grain technique, floral motifs and tendrils in blue painting. The Chinese consider stone lions as auspicious door guards, often used in traditional Chinese architecture and culture. Antique lowboard / sideboard with 4 doors. 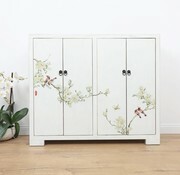 Shoe cabinet in a modern look hand-painted pattern in cream white with four doors with 7 shelves, not removable. 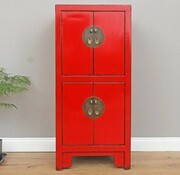 The beautiful red chest of drawers has drawers and two doors. 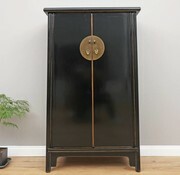 Shoe cabinet in a modern look hand-painted pattern in black two doors with 4 shelves, not removable. A beautiful dresser has 2 Türen. The beautiful dresser has 2 doors with 2 drawers. 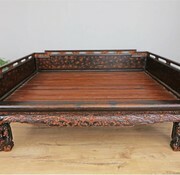 Unique opium bed decorated with carvings perfectly renovated condition. A beautiful sideboard has 4 doors.